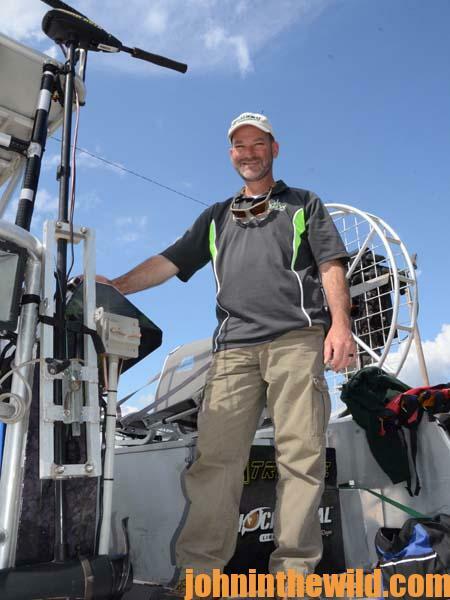 Editor’s Note: Mark Land is the technical support manager for Feradyne Outdoors, LLC (http://www.feradyne.com/) which includes Rage Broadheads (www.ragebroadheads.com), Muzzy (www.muzzy.com), Tru-Fire (www.trufire.com) and Nockturnal (http://nockturnal.com). 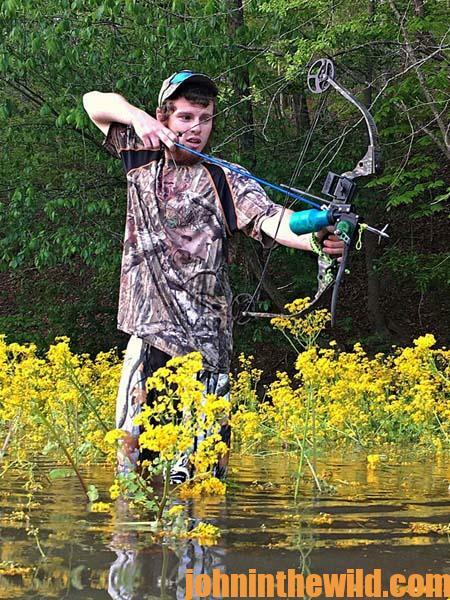 He handles the bowfishing promotions and the Feradyne Pro Staff, including Muzzy. 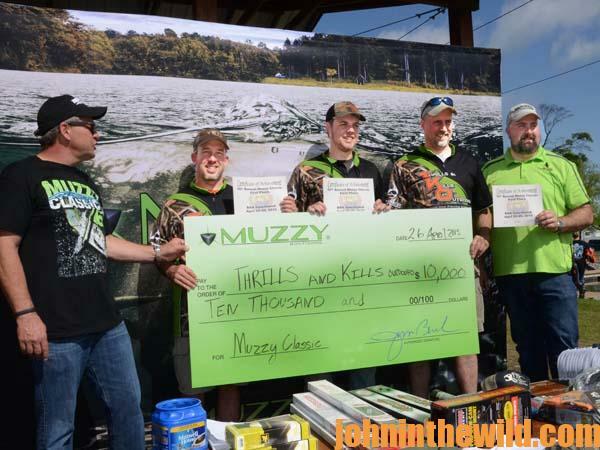 Muzzy holds its annual Muzzy Bowfishing Classic on Guntersville Lake in Guntersville, Alabama, since Guntersville has built its reputation as one of the nation’s top bass-fishing lakes. 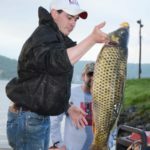 In the last few years, Guntersville also has been recognized as one of the best bowfishing lakes in the nation. 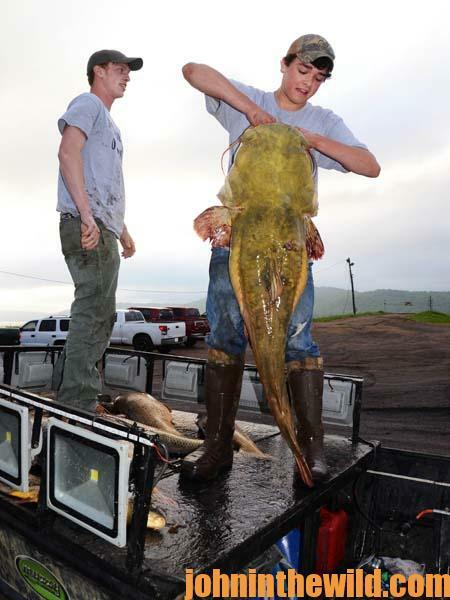 Guntersville always has homed a good population of carp and the native buffalo as well as gar. In 1993, the State of Alabama released 300,000 grass carp into the lake to help with weed control. Grass carp can be compared to trophy elk or moose in the hunting world. These fish are a big trophy that most bowfishermen like to take. So, the grass carp have become a huge drawing card for bowfishermen to come to Lake Guntersville. The world-record grass carp taken with a bow is about 92 pounds. Bowfishermen may take grass carp that will weigh from 50 to 70 pounds in Lake Guntersville. The grass carp stocked into Lake Guntersville were sterile. However, we’ve noticed that grass carp are spawning not only in Guntersville but in other lakes and rivers also. We know that because we’re seeing small young grass carp in the lake, as well as medium-size grass carp and really-big grass carp. I’m often asked, “What’s the real secret for doing well or consistently winning bowfishing tournaments?” The answer to this question is the same answer you’ll find when you ask, “Why do some hunters consistently take big whitetails each year, and why are some bass fishermen always in the top 10 of the tournaments they enter?” The people who do the best in any of these sports put in plenty of time scouting not only on the water but with maps. A serious bowfisherman may spend a week on a lake looking for fish before the tournament starts. During the day and at night, they’ll try and cover every bit of the water that they can during that week. Over the years, we’ve seen that the bowfishermen who spend the most time on the water scouting will more than likely win the tournament. Most rough fish are very territorial. 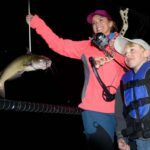 So, once you find fish in a certain location, you can expect those fish and other fish to show up in that same area during the day or the night of a tournament – especially grass carp. 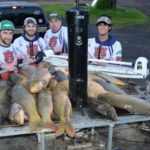 I think the number of bowfishermen hunting the grass carp have caused those carp to recognize bowfishing pressure and what happens when bowfishing pressure builds up, and they’ve changed the way they act. Fifteen years ago, we could go to Guntersville Lake and identify several locations where the grass carp were. Just about every time we went to those places, we could find grass carp. But we’re finding grass carp in places they’ve never held before. Instead of locating grass carp in shallow water, we’re seeing them moving out into the deeper water away from structure. We once found them in the back ends of pockets and sloughs. Now, we’re finding them swimming out in open water. I think the grass carp can feel the vibrations of a boat motor and a generator. Perhaps they’ve become sensitive to lights shining down in the water at night like the halogen lights most bowfishermen use. So, we’ve started being more stealthful and using either spot lights or bow lights to sneak up on those big grass carp. 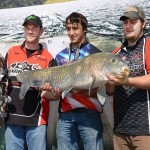 You can get some information on bowfishing on http://www.muzzy.com, or on our Muzzy Bowfishing Facebook page https://www.facebook.com/Muzzy-Bowfishing-115477487783/?fref=ts. 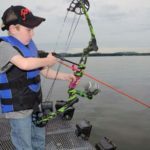 Also, there are numbers of bowfishing groups that you can join on the internet and get information from about good lakes to bowfish and how to bowfish better. To get John’s book, “The Bowfishing Bible,” go to http://amzn.to/22zX7Zz. To learn more about hunting and fishing from John E. Phillips’ print and eBooks, click here.